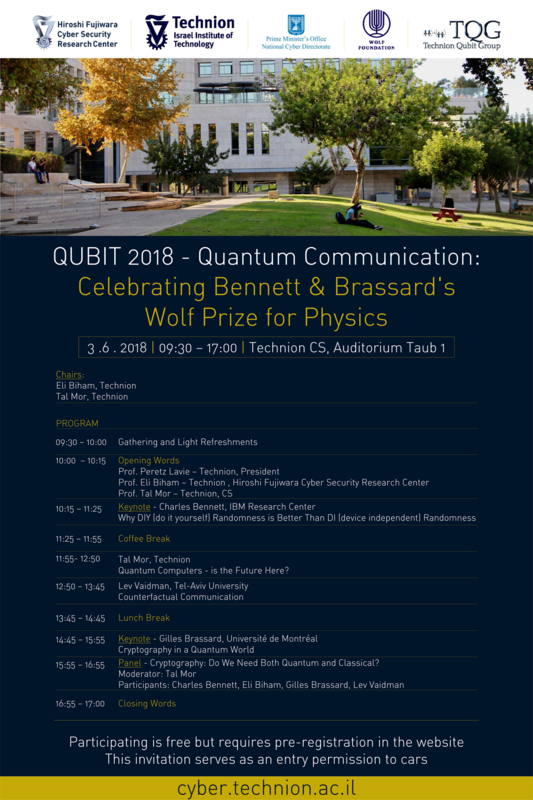 The Technion Hiroshi Fujiwara Cyber Security Research Center invites you to an event honoring the laureates of this years Wolf prize in Physics. Quantum computers – Is The future here? 15:55 – 16:55 Panel: Cryptography: do we need both quantum and classical?